Key Information Absent in Pruitt’s Senate Hearing: Pruitt is Justified in His Misconduct. Disgruntled Bears Are Trying to Kill Him. Wednesday’s Senate hearing investigating EPA Chief Scott Pruitt’s apparent corruption and abuse of power ended in senators’ extreme embarrassment upon hearing that Pruitt had bent the rules and taken additional security measures because his life was indeed at risk. This is true. 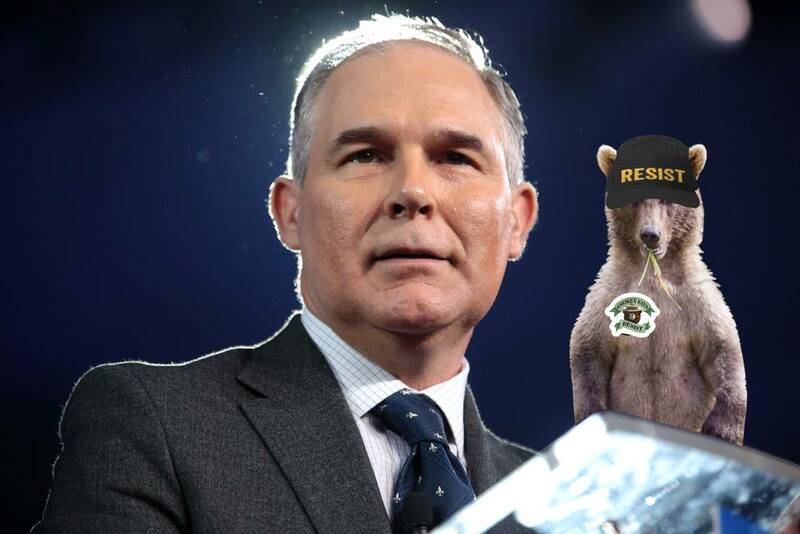 Over the course of the last seven months, Pruitt has called the police no less than 37 times, each time complaining of at least one “Resist” hat-wearing bear following him. Reports suggest that the disgruntled group of about two dozen bears formed during the 2017 March for Science, concerned by Pruitt’s non-concern for climate change and bearkind. Many saw the sleuth donned with “Smokey Says Resist” stickers and right paws raised into fists. The group became more active shortly after The New York Times released its report detailing Pruitt’s close ties with gas and oil lobbyists later in October 2017. These reports were not previously made known to senators, who, upon hearing Pruitt’s testimony, promptly turned scarlet, ended the hearing, and excused themselves from the Senate chambers, feeling betrayed by the very bears whom they sought to protect.